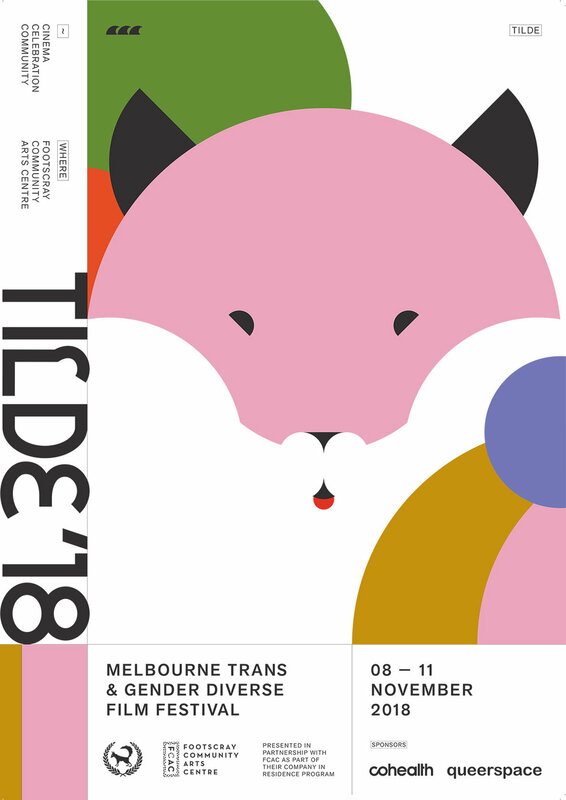 Established in 2014, tilde is a community-based, international film festival based in Melbourne, and one of a handful of trans and gender diverse (TGD) film festivals in the world. It also is a crucial opportunity for TGD community members to gather and connect with one another in a safe and supportive environment. We have been looking forward to tilde for months, taking place at Footscray Community Arts Centre from November 8th - 11th. We were lucky enough to have a chat with Creative Director Louise Malcolm ahead of opening night this Thursday - we spoke about representation, curating a festival program and creating community. Can you please introduce yourself to us? What is your role at tilde? My name is Louise Malcolm and I am the Creative Director at tilde. The tilde program has a really eclectic mix of documentary, narrative, short film and other film genres. It also looks at the diversity of trans and gender diverse experience with films focusing on the perspectives of folks who are people of colour, indigenous or youth. How do you curate this kind of program, and what was the process like for your 2018 selections? We look at literally hundreds of films to select the tilde program. This is done by a small, but dedicated, group of trans and gender diverse folks (myself included). Diversity and inclusivity are two of the main guiding principals in tilde’s programming. Trying as hard as we can to include a wide range of voices and stories and focusing especially on folks that are oftentimes marginalised is at the heart of what we are trying to do. In general, tilde is interested in giving a platform to films that expand our understanding of what it means to be trans and gender diverse beyond often narrow depictions we find in mainstream media. Why do you believe representation matters? What is it about the medium of film, and the setting of a film festival, that allows that to come through? It matters for so many reasons. Offering rich, nuanced and diverse representations of trans and gender diverse people and their lives breaks down stereotypes. Breaking down stereotypes can have real effects on stigma and discrimination faced by many trans and gender diverse people on a daily basis. The other part of this is that seeing ourselves reflected back at us in an authentic way is powerful and something that trans and gender diverse people have been largely denied for a really long time. The moving image is a particularly powerful tool for this as it allows us to feel connected to people we don’t even know, to empathise and identify with them in a way that most other media cannot. Hearing people’s stories through film in the context of a film festival has the added element of the shared, community experience. At tilde this means connecting with current friends and often also making new ones via the experience of watching a powerful film. On the tilde website, the Director’s Welcome states “Family (chosen or otherwise) forms a strong thread through our selection of films this year, reminding us of the vital importance of connection, and the strength and power to be found in community”. Can you tell us a bit about how the team at tilde has fostered that sense of community? The tilde team is made up of a lovely bunch of trans and gender diverse folks and allies. We always try to ensure that all our events are friendly, warm and relaxed spaces for trans and gender diverse people. This is done through pre-planning aspects such as talking to everyone working on the Festival (tilde team and venue staff) about the importance of such things as language and not making assumptions about anyone’s gender identity. During the festival itself, we have a strong focus on trying to ensure our spaces and the festival experience feels inclusive, accessible, and welcoming in a range of important ways. For folks seeking more representation of trans and gender diverse stories, do you have any recommendations for resources or places they might find them? In terms of film, I’d recommend people keep up with what trans and gender diverse filmmakers and actors are doing (I follow heaps on Instagram). There are also a few other trans and gender diverse film festivals worldwide, so looking them up is also good idea. A good rule of thumb when seeking out films about trans and gender diverse people is to make sure trans and gender diverse people were involved somehow in the making of it (ideally in a key role). Do you have any favourites from this year’s program? All of them! This year’s program is incredibly rich. I’m very excited for the Transblack session, where we will have two people from the film live in conversation following the screening. In terms of other favourites, I love this short film called For Nonna Anna, which is playing in the Short Fiction session on Saturday night. It’s about a young trans woman looking after her elderly grandmother and it’s just beautiful. Also in the Short Fiction session is a little queer sci-fi feminist masterpiece called Swarm of Selenium. In the Youth Shorts there is a film called The Real Thing. It’s very moving. I have watched probably 4 or 5 times and I cry every time (in a good way!). But really, I’m excited to share each every film we have in the program with our audience. tilde festival started 2014, and in that time it has grown and grown! Where do you see it going in the future? We would love to keep growing our audience and reach more trans and gender diverse folks and allies in more communities and locations. I’d love to take the Festival to rural and regional areas and interstate via a travelling program too. tilde is quite a big event that is put on by volunteers, and it’s not easy in the current funding environment to put on a festival like this. We are really fortunate to have some great sponsors and I look forward to our sponsorship base continuing to grow over time as well. Thank you so much for sharing your thoughts with us Louise, and for giving us such great insights into this year’s tilde festival! tilde Melbourne Trans and Gender Diverse Film Festival opens this Thursday 8th and will run until Sunday 11th - make sure you check out the full program here!